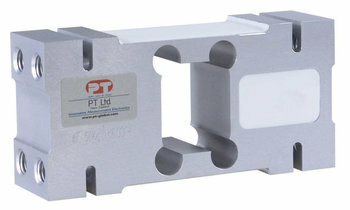 The PTASP6-F is a super high capacity single point load cell. A unique design allows for very large platform sizes up to 1200mm x 1200mm. Direct mounted in this design makes a low profile platform with one single load cell. This load cell is used in many other applications where a relatively small high capacity cell can be housed in a construction such as in hanging or crane scales plus many other industrial applications from check weighing to safety areas. Two additional sense wires feed back the voltage reaching the load cell which improves performance.